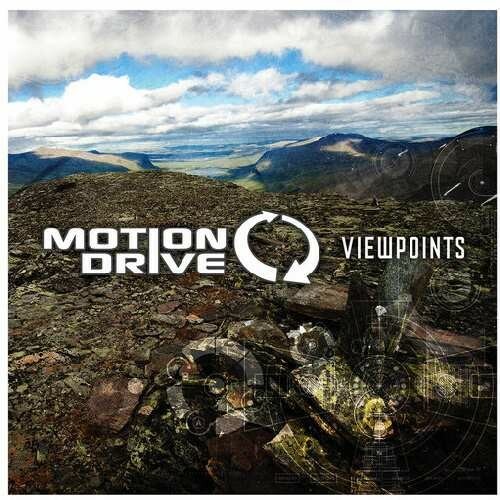 'Viewpoint' is the second and double album of Motion Drive, aka Philip Guillaume from Zuerich Switzerland. Motion Drive was formed in 2006, after toying with other projects such as Blue Vortex and Rumble Pack, and can be easily identifed for the pumping melodic and yet progressive sounds of the trips he paves. Motion Drive joined the Iono-Music family in 2009 and released his debut album 'In the Dirt'in 2010. That first solo album can already give you an indication of the eclectic artistic manoeuvres he creates and the wide range of electronic beats he can master. After two more compilations 'Sunset Delights' (2009) and 'Recycled' (2011) he is definitely ready for the next expedition, the one you are listening to as you read this. 'Viewpoint' is made out of two sides of Motion Drive, one is more Progressive Psychedelic Trance which brings the freshest crunchiest sounds this genre has to offer today, and other is more Housy and Chill Out, smooth and softer electronic sensations. In a way 'Viewpoint' is one piece, it all depends where, when and how you listen to it at a certain time. But what will not change or dependent on your position is the fact that you will melt right into it, come on, pick your Viewpoint!